A new Muppets themed show coming to Magic Kingdom was announced earlier this year and now thanks to the Disney Parks Blog we have an official opening date. 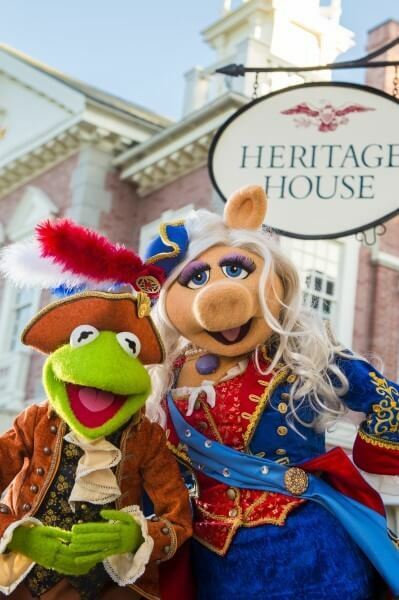 The Muppets Present… Great Moments in American History show will debut October 2 in Liberty Square, Magic Kingdom. Kermit the Frog, Miss Piggy, Fozzie Bear and The Great Gonzo will all be joining in on the fun as the James “J.J.” Jefferson, town crier of Liberty Square, and Sam Eagle host the show. The show is set to take place several times daily, just outside The Hall of Presidents and will showcase the Muppets own unique take on the founding fathers as they recount the tale of the signing of the Declaration of Independence, complete with an original song and plenty of humor.